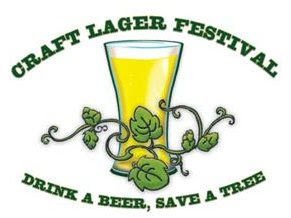 Here's the official word on the upcoming Craft Lager Festival coming to Manitou Springs, Colorado on August 8th and 9th. For more festivals in Colorado like this, check out the 2009 Colorado Beer Festival listings. [PRESS RELEASE] Manitou Springs, CO (July 20, 2009) — Join us in Historic Manitou Springs, Colorado, for the best lager beers you have ever tasted! Over 30 brewers from around the U.S. will participate in this year’s festival. Also included for the first time is Michelob Brewing Company with a Sneak Preview of four new experimental lagers that never have been released out in the market. Other brewers scheduled to participate include Samuel Adams, Arctic Craft Brewing, Carver's Brewing, CB and Pott's (Fort Collins), Big Horn (Highlands Ranch), Full Sail, Kona Brewing, Maui Brewing, Rock Bottom (Colorado Springs), Il Vicino, Tommyknocker, Good Old Boys Brewing Co-Op, Phantom Canyon, New Belgium, Flying Dog, Left Hand Brewing, and San Luis Valley Brewing. All proceeds from this event support open space and parks in Colorado Springs and Manitou Springs. The more tickets we sell, the more we can support our local trails and parks. * The finest hand-crafted lagers in the U.S.
* Discounted tickets for sponsors! This event is sponsored in part by Comcast, Michelob Brewing Co., 94.3 KILO and 103.9 KRXP, The Gazette, Classic Rock 98.1 KKFM, 92.9 The Peak, 95.1 KCAT Country, AM 740 KVOR, 98.9 Magic FM, The Independent, Rocky Mountain Chocolate Factory, NODUICOSPRINGS, Elk Creek Technology Partners, Jake & Telly’s Greek Cuisine & Wine Bar, Pizzeria Rustica, Front Range BBQ, Lewan & Associates, Kinfolks Mountain Shop, Hop Union. Tajine Alami, Marilyn’s House of Fine Pizza and All About Merchants. Historic Manitou Springs offers world-class outdoor activities, great sights such as Pikes Peak and the Garden of the Gods, and abundant nearby lodging and dining. It’s an easy walk to the festival in the big park in Manitou Springs, Memorial Park at 502 Manitou Ave. from local motels and B&Bs. Come discover this scenic, historic city at the foot of the Colorado Rockies. (T-shirts, banners, cups, etc. ), in media advertising (radio, print, cable, Internet, TV) and acknowledged during the two-day festival. You will be proud to be part of this ground-breaking, non-profit event! - Denver Beer Fest details. - August 2009 Colorado Beer Festivals. - Denver Flying Dog Tweetup planned for August 2009.